My last post was about how communication has the power to build us up, or tear us down. I suggested that we use courtesy when communicating. We also need to think before we speak. Any scammer knows how to speak flowery words. Their purpose: to get what they want. Con artists are only out to further their own agenda; they can’t be trusted. Their message is meaningless. On the contrary, some trustworthy individuals use harsh language. They are willing to call a spade a spade in no uncertain terms. To them, the message is more important than the presentation of it. Their purpose: to change something and tell you exactly how to accomplish that, according to them. If they offend someone, that’s unfortunate, but it cannot be helped. We have to dig beneath all communication. It’s not easy to see beyond pretty speeches or a large vocabulary. We want to soak up the words and take a bath in them—with candles placed strategically around the bathtub for atmosphere. In the same way, it’s hard to look beyond words that are immediately offensive. She’s a friend who knows how to use pretty words when it suits her. She can make her listener feel like the most loving, talented person on Earth—for the moment. The problem is that she cannot be trusted in the least. Elizabeth has a history of unethical practices, ruining reputations, and alienating friends. She has a habit of saying pretty speeches only when she wants money. Otherwise, she ignores loved ones for months. Obviously, this is traumatic for her parents. I don’t like the way she plays with their hearts. Praise whatever they can about you. Ask you a little bit about yourself, which they promptly forget. Give out a minimum of information. Mention their illegal business scheme, or ask you for money. Truth was crucial to Jesus. He called the Pharisees, the religious leaders, whited sepulchers. That means he felt they were full of ugliness on the inside. Their speech was educated and beautiful. Their knowledge was overwhelming. Yet, inside, they were full of judgment and anger. In the same way, we should always look for the truth, not just pretty words. It’s not difficult to pick out the people who use kind words in a false message. We can also find helpful messages underneath the abrasiveness of some individuals. Perhaps this is the key is to useful communication: be honest with as much compassion as possible. 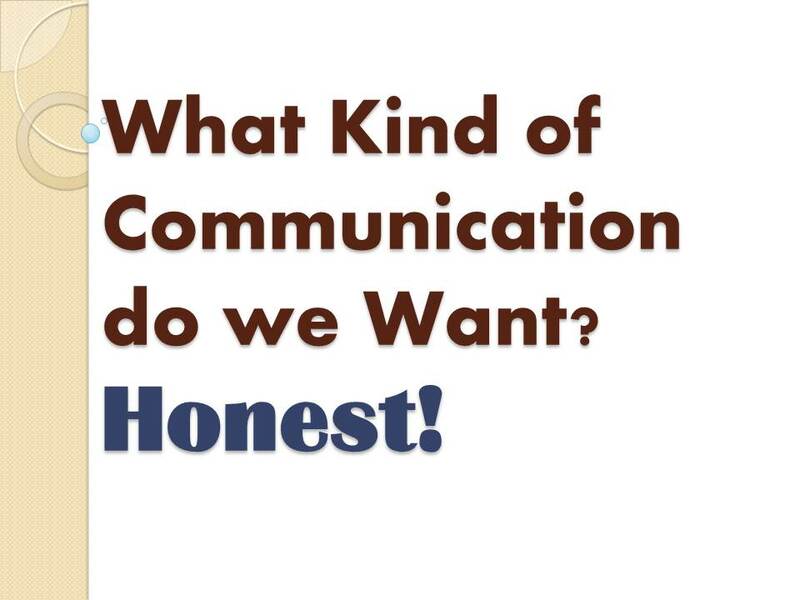 How would people describe the results of your communication?